Dr. Smith’ s qualifications mean that we are able to offer a range of Specialist Services not available elsewhere. If you’re looking for an optician to care for your eye health look no further than Martin Smith Opticians. Dr. Martin Smith BSc DOptom Dip Tp(IP) Prof Cert Glauc MCOptom is one of the most highly qualified optometrists in the UK having completed a professional Doctorate in Optometry and accredited for Independent Prescribing. Our OCT machine is a specialist piece of equipment that enables Dr. Smith to examine your eye in far greater detail. The technology works by taking a series of scans of your eye – including the parts that can’t be seen with visible light – to create a 3D image. With the OCT we can identify minute changes which can indicate the onset of eye disease. Our Zeiss Cirrus OCT is the gold-standard instrument as used by eye hospitals worldwide and Dr Smith is an expert at interpreting the scans, having used OCT for 10 years. Dry Eye syndrome is extremely common and affects 80% of people at some point in their lifetime. Symptoms can include excessive watering; sore, red and itchy eyes; a gritty sensation; an urge to constantly rub your eyes; and a sensitivity to light. If detected early enough, dry eye syndrome can typically be treated very easily. If you have noticed any of these symptoms, we recommend you book a private appointment with Dr. Smith who will recommend a course of treatment and give advice on managing this condition. By law, all drivers in the UK must be able to read a licence plate at 20.5m in clear weather conditions wearing their spectacles or contact lenses (if required) whilst driving. In addition, there are specific visual field requirements. If you have an uncorrected eye problem, you risk a fine of £1000 and having points added to your licence. Some eye conditions require you to inform the DVLA. At Martin Smith Opticians we can offer specialist eye examinations to ensure you meet all of the visual requirements set by the DVLA. We will check your peripheral (side) vision as well as your central vision and, should you need it, will prescribe you with corrective eyewear. Dr. Smith is one of only three optometrists in Lincolnshire with a Diploma in Independent Prescribing, which enables him to diagnose and prescribe medication for eye conditions and to treat eye problems immediately. Crucially, this can save our patients a trip to their local GP, or hospital. We would recommend that if you have a problem with your eyes, Dr Smith should be your first port of call as he is an eye specialist. Dr. Smith also receives referrals from other opticians in Lincolnshire. Eyes can become red and sore for a number of reasons. Whether something has irritated your eyes, or you are suffering from a specific condition, we would recommend instead of seeing your GP you request a consultation appointment with Dr. Smith who can diagnose, prescribe and treat as required. 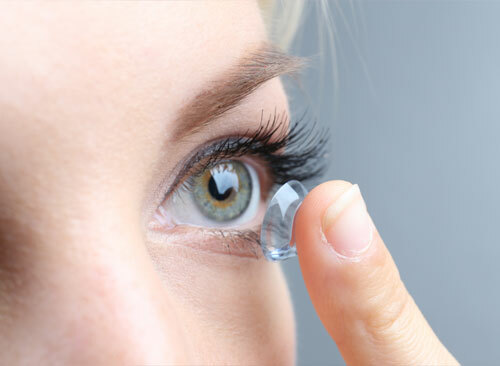 Flashes or floaters occur when the vitreous of the eye – the clear, jelly substance that fills the inside of your eyeball – changes. 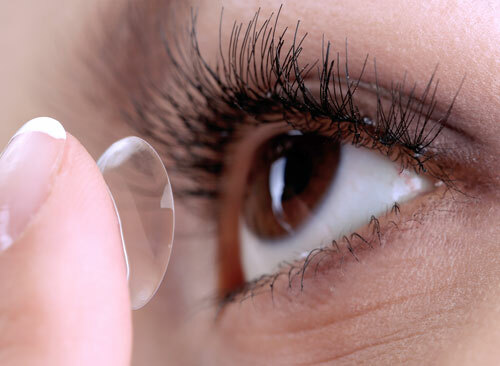 As we age, the vitreous jelly shrinks and can begin to slowly pull away from the inside surface of the eye. This can be a common occurrence, especially in those over 50 and they can appear as specks and even ‘cobwebs’ in your field of vision. However, a sudden onset of flashes or floaters requires immediate attention, ideally within 24 hours, and a consultation appointment should be made urgently with Dr. Smith. If you would like more information about the specialist services we offer, or to book an appointment, please contact our friendly team by calling 01522 52110.